With the Circuit of Ireland 2015 Rally only a few weeks away, we got the chance to experience first hand what the latest technology in Irish rallying is like. 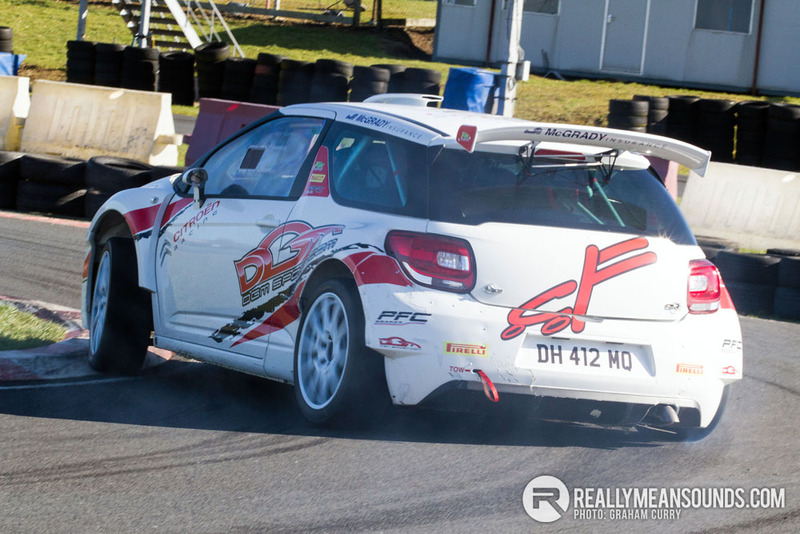 RMS photographer Graham Curry joined a test day held at the Nutts Corner Motorsport Complex , to be taken for a few hot laps in a Citroen DS3 R5 piloted by Carryduff’s Jonny Greer. “These R5 cars are on a different level to the old GrpN Evo 9 I used to navigate in, they are like a go-kart on steroids compared with the old technology”. The latest R5 cars, of which there will be several on the Circuit of Ireland event are a 1.6L turbocharged, four wheel drive car with a sequential gearbox that share much of their DNA and characteristics with their big brothers, the WRC variants. Producing 280bhp with 400NM of torque and a minimum weight of 1200KG it is clear that they will be sharp and nimble on the stages and perfectly suited to most of the roads the Emerald Isle has to offer, a spectacle to behold seeing one in full flight with the hedge rows just inches from the door handles. Spectator Stages will take place in Newtownards on Friday 3 April and Lisburn on Saturday 4 April. Downpatrick will be a regroup area on Friday while on Saturday Banbridge and Hillsborough Castle will play host to teams regrouping. The rally will finish back in Belfast on the evening of Saturday April 4 and the winner will be crowned at Belfast’s Titanic Quarter, the site of the Rally HQ and Service Park, which will welcome competitors and team personnel over four days from Wednesday 1 April. For more information see circuitofireland.net.